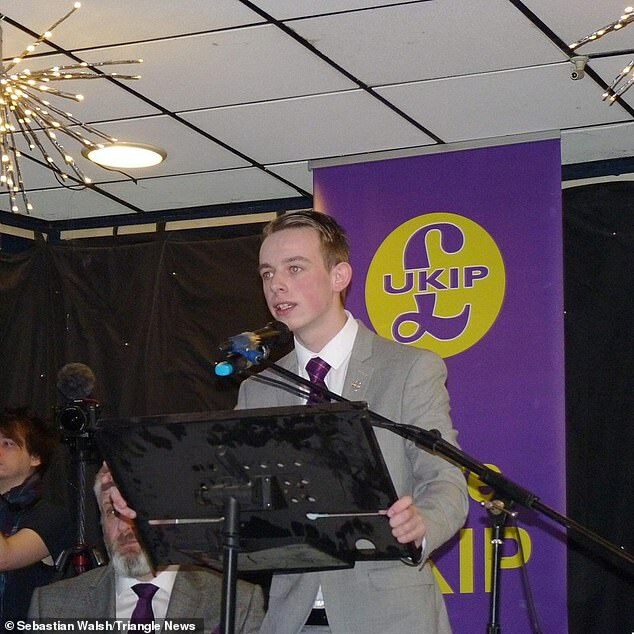 A student who claimed the NHS should not be free to immigrants and lamented about the ‘Islamisation’ of Britain has been kicked out of his university. The 19-year-old student also branded halal meat ‘barbaric’ and ‘inhumane’ and vowed to friends he would never eat at Subway or KFC due to the way the animals are killed. The self-proclaimed ‘free speech advocate’ complained being struck-off from university was a violation of his human rights. He said: ‘All I did was voice my opinions during debates about immigration. ‘I am totally against halal meat because I think it’s cruel – it’s an inhumane and barbaric way of slaughtering animals. ‘In another seminar class, we had a discussion about the privatisation of the NHS and I simply said I don’t think free healthcare should be available to immigrants. ‘These are views held by many people in the public and I believe I should be able to express them freely. 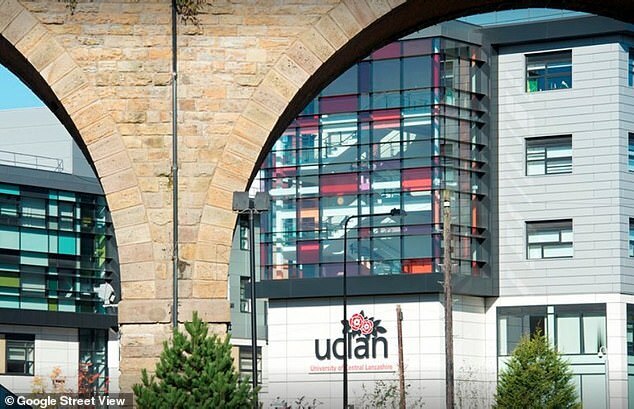 The University of Central Lancashire told Mr Walsh he could return to his social work studies in September is he signed a good conduct agreement and undertake a diversity training course. However the first-year student from Wigan, Lancashire, is refusing to bow down. Mr Walsh, a Ukip member, said: ‘Freedom of speech is a human right and I am determined to stand by this. 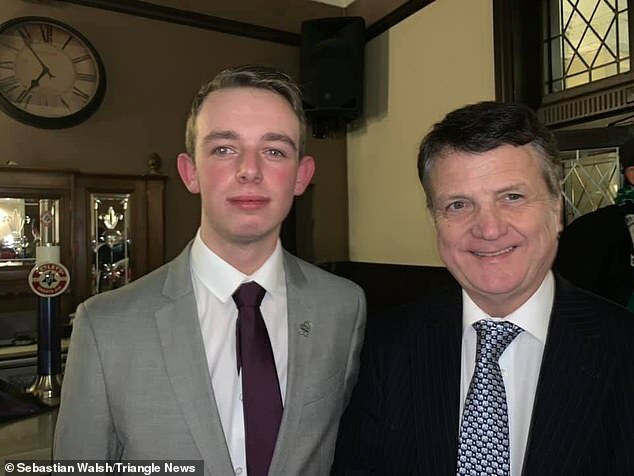 The Preston branch of Ukip has pledged their support to the student and has written to the university to voice their concerns about the decision. Treasurer Neil Graham said: ‘What has concerned me and many other members of our party is that this young boy is being denied his education for simply expressing his opinion. ‘Whether Sebastian is right or wrong, he should be able to voice his views in a university classroom and we believe passionately in his right to do so. Mr Graham added the Government released a document this month to protect free speech in higher education bodies. A UCLAN spokesman said: ‘UCLAN is proud to host a campus community comprised of many cultures, faiths, nationalities and beliefs. ‘It values this rich diversity and takes seriously its responsibility to provide a safe and welcoming environment for all. ‘The University promotes lawful, open debate, the discussion of varying views and academic freedom and has in place robust procedures to ensure this can take place. ‘In this case, a number of official complaints were made by students regarding a series of offensive and inappropriate comments made by Sebastian Walsh during lectures and seminars. ‘We cannot divulge the actual comments made by Sebastian as they formed part of a confidential investigation. ‘However, they clearly breached a number of the University’s conduct regulations, including those relating to harassment and bringing the University into disrepute. ‘In line with our official procedures, an investigation ensued, and a disciplinary hearing took place. Previous Postl’état, c’est moi – is Macron the Sun King?Next PostIslamic headbangers offering ‘deradicalisation’ programs for ISIS head choppers? Re: “‘In this case, a number of official complaints were made by students regarding a series of offensive and inappropriate comments made by Sebastian Walsh during lectures and seminars. Doesn’t he know that, in holding muslims to account, he’s going against their policies of official racism?! You know, where all members of the swarthy “People Of Colour’s” global crime and murder gang are to never be held to account or asked to take any self-reliant responsibility for their own criminal choices, simply because, as mentally inferior animal-people, they are naturally held hostage by their animal instincts, and so it’s perfectly natural for them to be prone to violence if and when ever “oppressed” (confused) by the mentally-superior whites?! Liberal racists routinely refuse to condemn crimes committed by “swarthy” criminals and defend islam simply because it’s a crime gang of non-Whites. Snowflakes are being taught to act like perpetual victims, not realizing that in their long march to replace freedom with security, they will all end up being euthanized in gulags! They are literally being taught by “intellectuals” to Act Dumb – to act as helpless victims without any free-will responsibility! They pretend they have no choice but to extort others (who, as “oppressors,” obviously did have choices)! 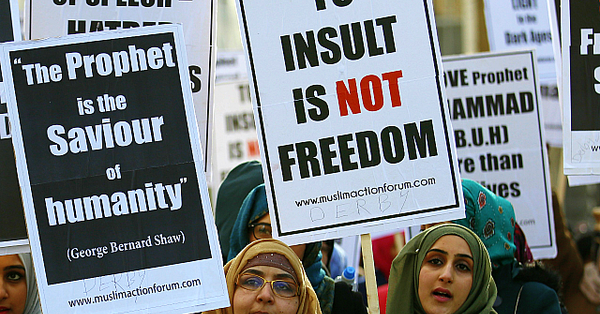 All liberal social science/humanities “teach” about (abuse students with) islam (“Submission” to Authority) these days – because they all really only describe victimology, where there is no morality because they insist there is no free-will choice. As in islam itself, one must SUBMIT to GOING ALONG (with the criminals’ main lie, that they are really only “fellow victims” – of society/mere products of their environments, and proudly helpless slaves of unknown and unknowable allah) TO GET ALONG (with all the other scary lying criminals)! It’s might-makes-right extortion! Because both corporations and governments WANT people to be hypocritical psychopaths – people who are always instinctively willing to compromise and Submit to Authority, who can be guaranteed to always want to go along to get along, and who will never, ever, challenge the status quo by attempting to actually solve any real problems, or accuse any real criminals of their crimes, that’s why! “Teaching” (abusing helpless and naive kids with) victimology is the ONLY thing these delusively blind so-called and only self-described institutes of higher education do these days! Which really means extortive criminal victimality, since no true “victimology” can really ever exist at all anyway! And yet whites are THE global MINORITY. And, as such (“racism” really only meaning preference for one’s own breed, also known as a right to free association) Whites are technically the least racist breed in the world, with Asians being the most racist, and Dravidians (“Hindus”) being the second-most racist, etc. So making plans and “laws” seeking to dilute and destroy (aka genocide) the global minority in their own lands by importing more and more of the global majorities, is not only incredibly stupid, but it should also be (and, technically, actually is) illegal. All so-called “Indigenous Minorities” are actually global majorities, too: the “natives” in the North, Central and South Americas, are all no more than displaced backwoods hillbilly ASIANS, while the Australian Aborigines are nothing more or less than displaced Dravidians from India – as even most Dravidians still in India will openly and proudly admit to.